For many offices and growing businesses, the idea of switching to VOIP phones can seem like a pretty big commitment. Even if VOIP is everything you’ve dreamed of and will cut the costs of wired TelCo office phones, there’s still a degree of uncertainty. You can’t help but wonder what you will do if something goes wrong with the VOIP system after you’ve already removed all your existing office phones. Will employees be forced to use personal cellphones? Will clients be lost because they can’t get in touch? As experienced VOIP technicians, we’re familiar with all of these fears, because we assuage them on a regular basis. Upgrading to VOIP is a smooth and easy process. But you also don’t have to put all your eggs in one basket right away. For any business that wants to take the communication migration to the cloud with a little caution, we have exactly the right solution ready and waiting. The single biggest objection most businesses have to upgrading that they distrust the cloud, or that they dislike software integration and go-anywhere phone numbers. It’s the fear of a service gap. If your office can’t go a single day without your phone lines, naturally you can’t risk the possibility of technical delays on your first day of VOIP integration. Fortunately, you don’t have to take that risk. Because VOIP is completely separate from your original phone lines. So this is less like ‘changing phone providers’ and more like adding an entirely new wireless infrastructure to your business communication stack. In fact, if you want to, you can maintain your TelCo service for as long as you need before you’re ready to switch over to VOIP entirely. Today, we’re here to walk you through the smart way to upgrade your office phones to VOIP, with zero risk that your business will be cut off from its phones during the transition. The first step, naturally, is to choose the VOIP package that you plan to implement. There are dozens of VOIP brands and feature packages to choose from because, like most things today, VOIP is actually communication software. New features are still being written and improved every year, including integrations with other popular business software like CRMs and internal management systems. This is your chance to find a VOIP solution that not only fully replaces your old TelCo package features, but also enhances the other technology you are currently using. Look for VOIP systems that can integrate with the software you use or includes features that would be uniquely useful to your business. If you’re not sure which VOIP brand and package to pick, a consultation with a VOIP provider can help you narrow down the search. One of the great things about VOIP is that you don’t have to commit to a wide-scale integration to start with. If you’d like to dip your toe in the waters of internet phones first and see out it works for you, that is very easily possible. Partly, because scaling up is so simple after integration begins. So for any business looking to give VOIP a test-flight, consider choosing a test team first. This team can be any size you are comfortable with. An entire facility, an internal team that doesn’t take calls, or a customer service team who will give the new program a run for its money. The key here is to pick a group of people who you know can easily adapt to the simple technological changes (like using a new app or handset) who will also show you that the VOIP system really does reliably provide everything it says on the box. Think carefully about who you want to test the VOIP system to see how it will work for your business. Pick a group of people who use their phones often and can give you highly accurate feedback on how well each aspect of the new phone system works for them. With everything lined up, you can now open your first enterprise account with a VOIP provider. They will help you install the VOIP system, make your account, and create the first batch of numbers that will be used by your test team. Because VOIP is so easy to scale, it will be simple to expand this startup integration into a full-scale VOIP solution for the entire company if you are satisfied with the initial results. To get started, first register the amount of numbers you need just for the people who will be test-piloting your VOIP package. Whether this is five, twenty, or two-hundred numbers to start with, business VOIP plans are ready to meet your needs. The next step is to train your team to use their new tools. After all, you want to see what the new system can do. Once everyone knows how to use the VOIP features, encourage them to test everything out. To make conference calls, to have numbers follow them from device to device, and to use the VOIP lines as direct links to your CRM. The following stage is going to be different for every office, because every office uses their phones differently. Whichever team you chose to test out VOIP will also influence the results you see. If you chose a dynamic team that does a lot of communication, you may see a wide variety of VOIP features used and how they work in an active real-world office environment. Or, if you chose a team that handles a large number of typical calls, you will see what VOIP can do under the pressure of a highly productive workplace. No matter what your businesses uses your phones for, VOIP is ready to deliver and you will see that during the testing phase. This is the phase where you get to see what VOIP can do for you and how it would stand up in comparison to any modern TelCo business phone package. Interestingly, this is also your chance to identify and easily handle any of those technical difficulties you were worried about at the beginning. Like if your software needs a little help integrating or if your bandwidth will need an upgrade. And to fix these things before it impacts more than your test team. Finally, after everything is ironed out and you know a lot more about the VOIP solution you are integrating, it’s time to scale up. Having seen VOIP in action in a small scale, you can implement the system for your entire business and across multiple facilities with confidence that it can and will fulfill your needs. The best part about this approach is that VOIP scales incredibly easily. You lose nothing from a small scale test flight because it’s so simple to add dozens to hundreds of new numbers to your plan when you’re ready to invest. And because you’ve already been through the process once, it will now be much easier to implement, train, and make use of the VOIP solution accross your entire organization. And, of course, the final point is that you never have to risk being without a phone. There’s no need to rip out the phone lines or even cancel your TelCo phone services until you are 100% confident that VOIP is ready to take over with zero drop in communication in between. 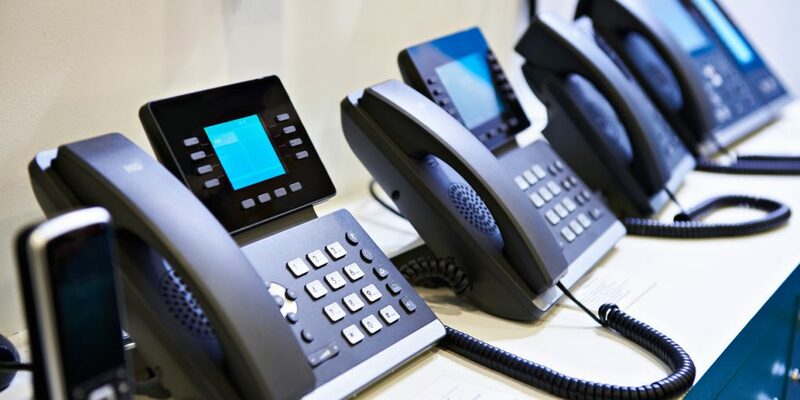 By making the transition slowly and carefully, you can achieve the smart way to upgrade your business phone system to an advanced VOIP solution. For more insights into VOIP upgrades and the right approach for your business, contact us today!